Lesson Three (Part 1): Robots! Lesson Three (Part 2): Robots! Lesson Four Part 1: Aliens! Lesson Four Part 2: Aliens! Paper making and Creating a Story! Posted on November 8, 2011 by Welcome to Molly and Kara's Lab School Blog! Hello everyone! Well we have finished with our Space Unit and the kids did a fantastic job. It’s time to move on to the next unit that Kara and I designed. Our next unit is paper making and creating a storybook. We wanted to do a collaborative project with the kids because so far they have been working individually. Our goal is to make a class room storybook together as a class! 1. 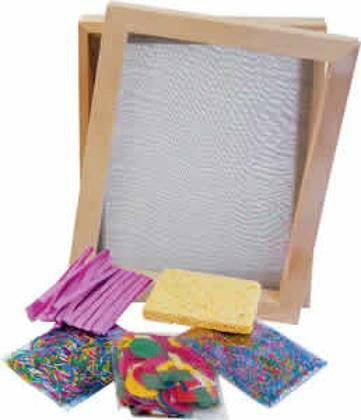 Paper making- The kids are going to make hand made paper using paper pulp, mold/deckle, and additive materials. 2. Creating a story- The kids are going to make a story together in class and then we will decide which student is illustrating what on each page of our book. 3. Illustrating the pages (Part 1)- The kids will use the colored hand made paper to illustrate what they need to on the hand made white paper that we have for the pages. 4. Illustrating (Part 2) and Storytelling- The kids will finish up their pages and the book will be put together. After this we will read our book aloud to the class. Kara and I are super excited about this lesson and we hope you will enjoy the pictures and the journey of paper making and story telling with us! Posted on September 14, 2011 by Welcome to Molly and Kara's Lab School Blog! NASA has contacted the students and want them to undergo on a mission. They have discovered a mysterious planet that is not identifiable. So it’s there mission to travel to this mysterious planet. How will they travel there? Who will collect the scientific data? Who/what will they encounter once they reach the planet? 1. They are to create their own planet out of watercolor and oil pastels. First they must tackle the ever-challenging scratch art and sketch their planet. What is the theme of their planet? What will it look like? 2. Next, the students are to travel to this planet to record data so NASA can identify this mysterious planet. They must create their own spaceship to get there using mixed media. What will it look like? Will their spaceship carry humans? Robots? 3. Once the team lands on this mysterious planet, they must obtain data. They will be creating a robot through assemblage of materials to do just that. What will their robots look like? What specific tasks can the robot do? How will the robot collect data? 4. When they land on this mysterious planet, who will they encounter? The students must represent an alien creature through clay. What are these mysterious creatures doing here? Where do they live on the planet? Are they similar to humans? In our class, the students will be learning about the fantasies of space through NASA’s mission. They will learn how all the elements of space travel inter-relate while using a variety of art materials. Using their imaginations to create their own planet, spaceship, robot and alien creature the students will learn how setting and plot creates a story. The students will learn how to tell story by writing a description of their space adventure. Let the space adventure begin! Click “About Us” to get to know the art teachers: Kara and Molly! 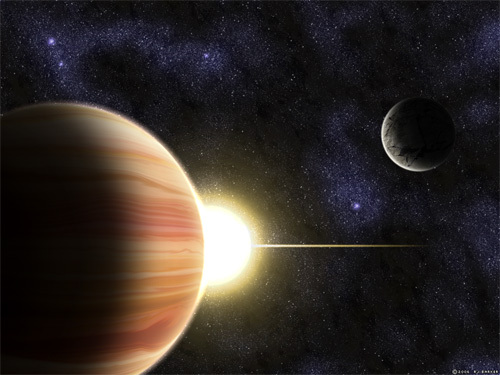 Click “Lesson One: Planets” to learn how about the first lesson! Click “Lesson Two: Spaceships” to learn about the second art lesson! Click “Lesson Three (Part 1): Robots” to see the assemblage of robots! Click “Lesson Three (Part 2): Robots” to see the kids decorating their robots! Click “Lesson Four (Part 1): Aliens” to see the kids create aliens with clay! Click “Lesson Four (Part 2): Aliens” to see the kids decorate their clay aliens with paint!